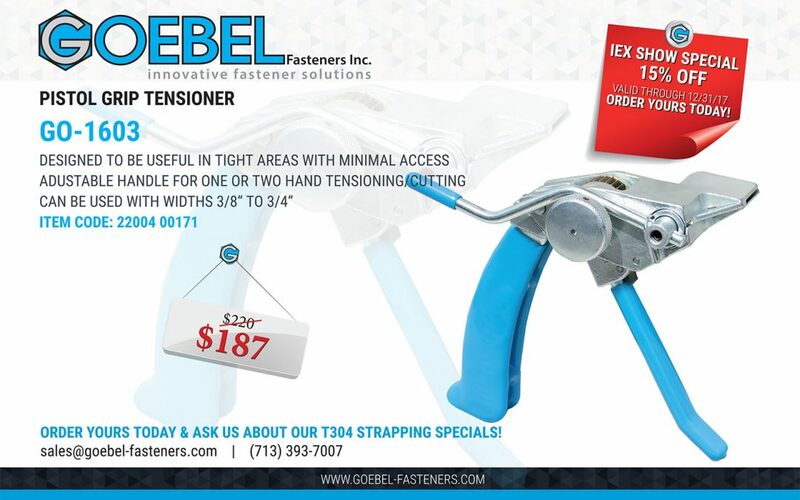 IEX 2017 Houston; Booth #4427 – Show Special 15 % Off our GO-1603 Tensioner Tool! Stop by our booth and try it out Dec. 12th & 13th, we have them in stock and ready to ship from Houston! Work smarter, not harder. That has always been a saying in just about every line of work and it has a valid point. If you can leverage your work to make your exerted force less, in turn making the job easier wouldn’t that be a great solution? Well we have great news, our GO-1603 Pistol Grip Tensioner is the right tool for the job! It features a dual function design allowing you to tighten the banding as well as cut it with exactly enough room to install your wing seal to complete the job. 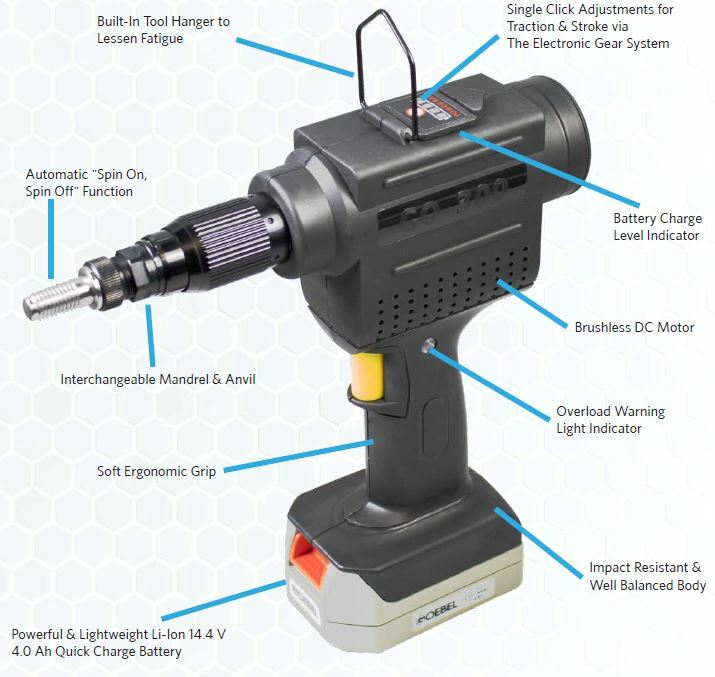 Save time and energy with this innovative new tool for the insulation industry! We are offering them as a show special at the Insulation Expo USA (IEX) for 15% off!